The New South Wales Government will introduce new legislation in the next two weeks to pave the way for a phased statewide digital driver's licence rollout, based on technology developed by Secure Logic. The move comes after a series of tentative steps by the NSW Government to develop a statewide digital licence regime, with the rollout of its first wave of digital licences – Recreational Fishing Fee, Responsible Service of Alcohol and Responsible Conduct of Gambling Competency Cards – in November 2016. Digital boat driving licences followed in July last year, with the freshly rolled out digital licences able to be accessed or renewed within minutes. The NSW plan to introduce digital licences was revealed in early 2015, with the state government promising to oversee a transition to digital licencing over the following four years if re-elected. Managed service provider, Secure Logic, played a hand in the design, implementation and management of the digital licence platform on behalf of the state government. Specifically, licence data is stored in users’ secure MyServiceNSW account, and is housed in the NSW Government’s data centre, GovDC, which was designed, implemented, and is now managed by Secure Logic on behalf of the state government. As with the other digital licences already rolled out in the state, once the implementation plan has been finalised, the digital driver’s licences will be made available through the Service NSW app and able to be displayed on users’ smartphones. 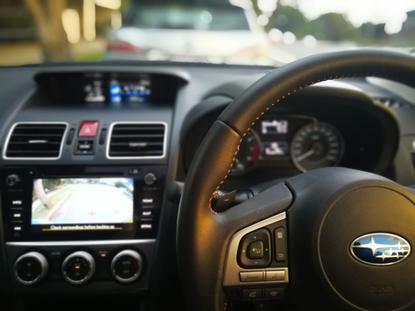 NSW’s Minister for Finance, Services and Property Victor Dominello claimed that the digital driver’s licence, which was previously slated for a 2019 rollout, will be the first of its kind in Australia. It should be noted, however, that the South Australian Government announced in September last year that it would roll out digital licences for drivers in he state from October 2017. As reported by sister publication Computerworld, the South Australian Government said at the time that as of 30 May, there were more than 270,000 mySA GOV user accounts. “Smartphones have become de facto wallets and we’re using cutting edge technology so that drivers can use a digital licence in everyday scenarios,” Dominello said. The planned rollout comes after a small scale digital driver’s licence trial in the regional centre of Dubbo, which kicked off in November last year and involved more than 1,400 people. “The Dubbo trial was a big success and drivers gave it the thumbs up. The legislation will enable expansion of the trial so that other NSW drivers can opt in to access a digital licence,” Dominello said. The proposed legislative changes mean that drivers can use their digital driver’s licences, accessible on a mobile phone, for proof of identity and proof of age to gain entry into pubs and clubs as well for roadside Police checks. NSW drivers who do decide to opt in will also continue to be issued with a physical card. Article updated on 15 May to include details of the South Australian Government's digital driver's licence plans announced in September 2017.